The retroperitoneoscopic radical nephrectomy avoids the need to mobilize the colon and the surrounding organs in gaining access to the kidney while the renal artery is encountered early during the procedure. Although hospital stay and convalescence are similar, operative times have been reported to be faster than the standard transperitoneal approach by as much as 30% (12). In patients who need peritoneal dialysis or have a history of multiple abdominal procedures, retroperitoneal radical nephrectomy is the surgical approach of choice. 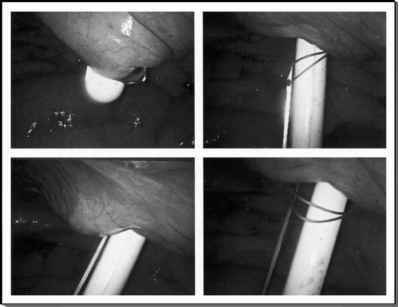 The main disadvantage of the retroperitoneal approach is the small working space that largely precludes specimen entrapment and morcellation. As a result, the specimen is removed either transvaginally or with a muscle splitting flank or a Pfannenstiel incision (13,14). Also, most of these specimens are removed without first being entrapped in an impermeable sack; this practice risks possible wound contamination because the specimen is manipulated and pulled through a "tight" skin incision (15).